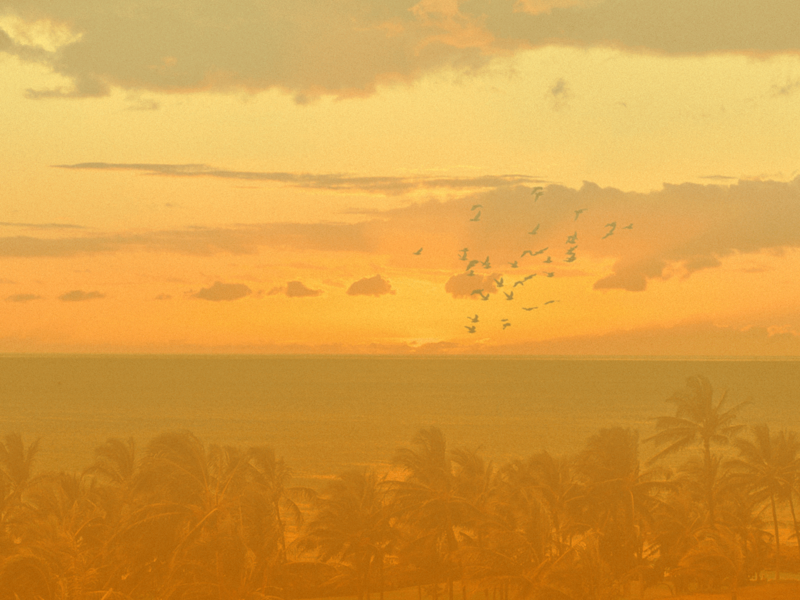 *Prices in search results below include room rate and tax (14.96%) only. 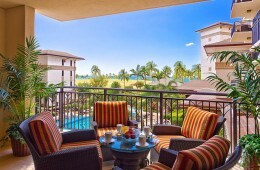 They do not include: Amenity Fee ($68), Exit Cleaning Fee ($375-$465), and Refundable Security Deposit ($1000). 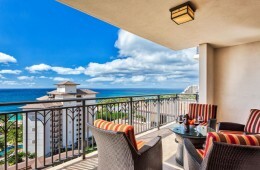 A lovely 2 BR / 2 BA Ocean View Villa on the 8th floor of the Ocean Tower with Direct ocean views from the interior of villa. You'll find it hard to leave! This Unit is a 3 Bedroom, 1,500 square foot unit that has been professionally decorated and is absolutely LOVELY! 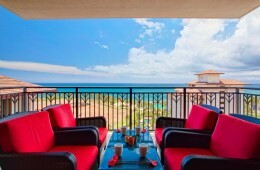 Located on the 12th floor, you will enjoy panoramic views of the ocean and the resort. 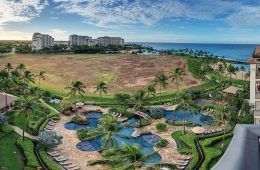 One of our most popular Villas, OT 301 is a very spacious 3 bdrm / 2.5 bath in the Ocean Tower facing the ocean with over 1,600 feet to spread out in and enjoy. This villa's decor is very contemporary and looks really great! 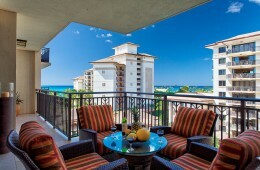 Ocean Tower 205 (#6) – 3 BR’s / 2 1/2 BA ~ Pool, Garden and Ocean Views. 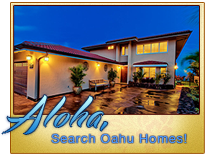 This 1,500 + sq foot Villa is furnished to accommodate Ohana. The 3 bedrooms have a King sized bed, a Queen sized bed and the 3rd bedroom has twins that can be converted to a very comfortable King. In addition to that there is a full sized sleeper sofa in the living room too, so this Villa sleeps 8 easily. She is a perfect place to come to on the gathering island to do a little gathering of your own. 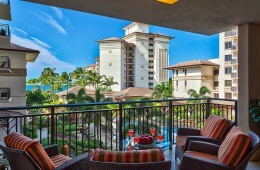 Located on the 2nd floor, the lanai faces the full view of the beautiful grounds and the blues of the ocean beyond. 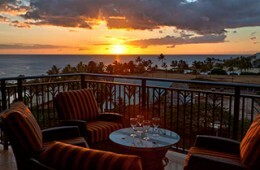 You'll love the Openness of the living area & lanai as you relax at sunset. This is a great Villa. 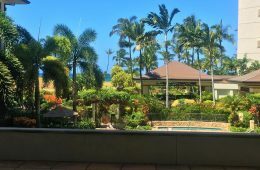 It offers the option of 2 bedrooms 2 baths and occupancy of 6 ( Queen Sized Hideabed in the living room ) or 3 bedrooms and 3 Baths with Occupancy of 8. 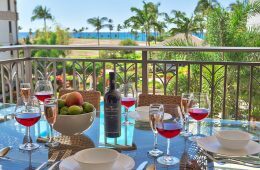 This premium 14th floor Penthouse Tower 2 Bedroom Villa is gorgeous and currently has available dates in the summer and fall. Gorgeous Inside Lovely Outside ~ Over 1,600 Sq Feet! 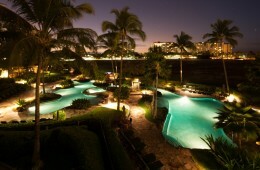 A 3 bedroom on the 3rd floor of the Ocean Tower with sunset & ocean views across the pools and gardens. Approximately 1,500 sq feet w 2 ½ baths. 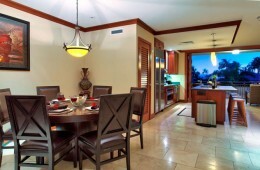 Enjoy the serenity of this 3 BR / 3 BA premium villa on the 3rd floor of the Beach Tower on the pool side. 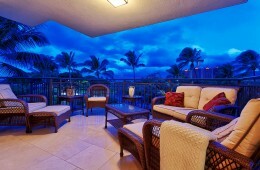 You'll love the private master BR with it's attached ocean view lanai. Over 1,500 sq feet, it comes ready to go with a 2nd BR that is also suited with it's own private bath also and the 3rd BR with a full hall bath. 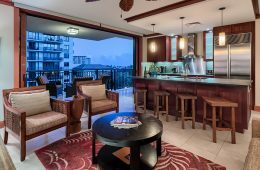 Ocean Tower 511 (#15) is located on the 5th floor of the Beach Tower and has 3 Bedrooms ( 2 with attached private baths ) and a total of 3 Baths. 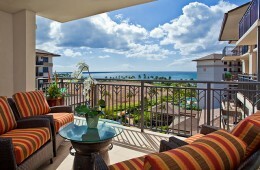 Pool and Ocean Views with a large lanai and 1,500 sq feet make this a great place to vacation.